I’ve been super sleepy this week. 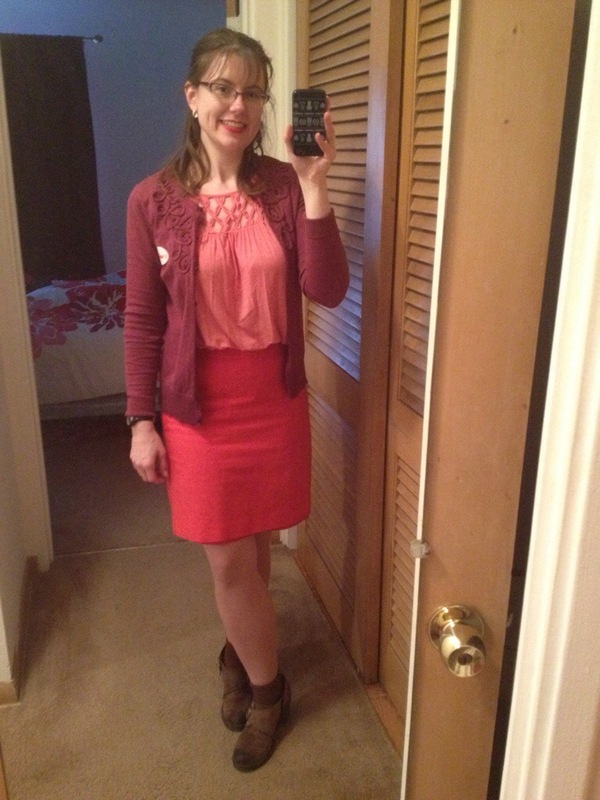 I had sort of gotten in the habit of posting at lunch, but I realized the photos I took in the morning were not super flattering because I was about to fall over. Hooded eyes. Not great. 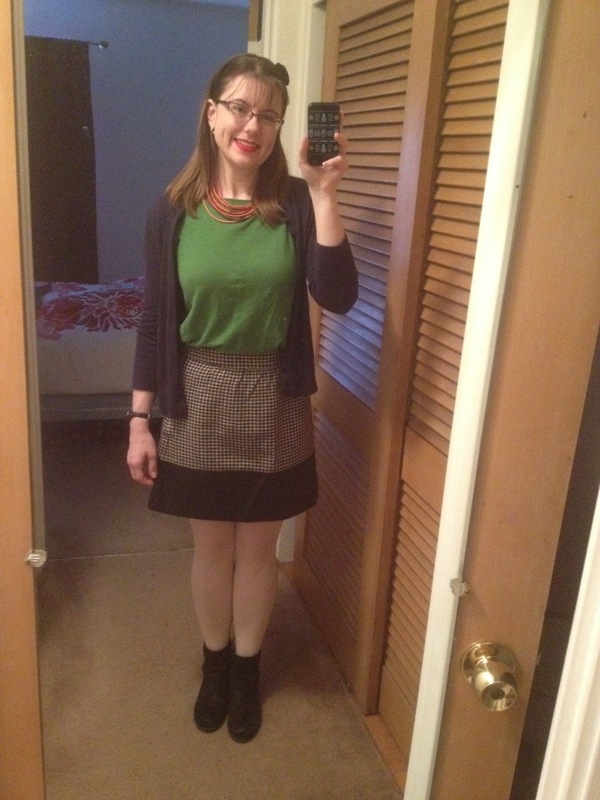 No, I take it back – I loved this outfit. Score! I picked this cardigan up at the clothes swap, convinced it was black. Nope. It’s navy. And I already have a navy cardigan I love. This one is a little baggier, but I don’t think that’s a reason to keep it. It can wait for the next swap, I guess. 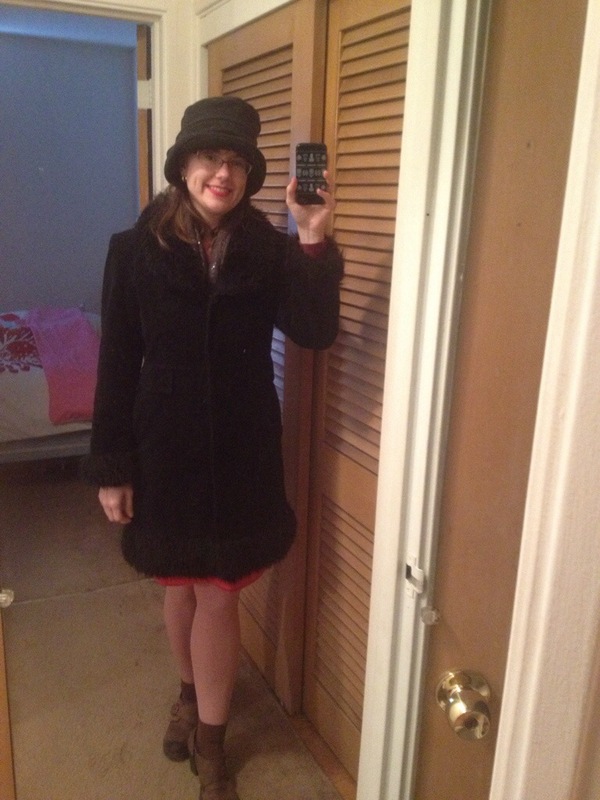 It was warm enough that I could wear a non-winter coat! Even when walking! I vote in a retirement home, and the poll workers noted that I fit right in, ha. Ha ha ha, another outfit my mother would hate. (Sorry, Mom.) This sort of got away from me, it got pretty busy. I was hiding my hair, which is why bun and scarf, and celebrating a touch of warmth, hence leggings. 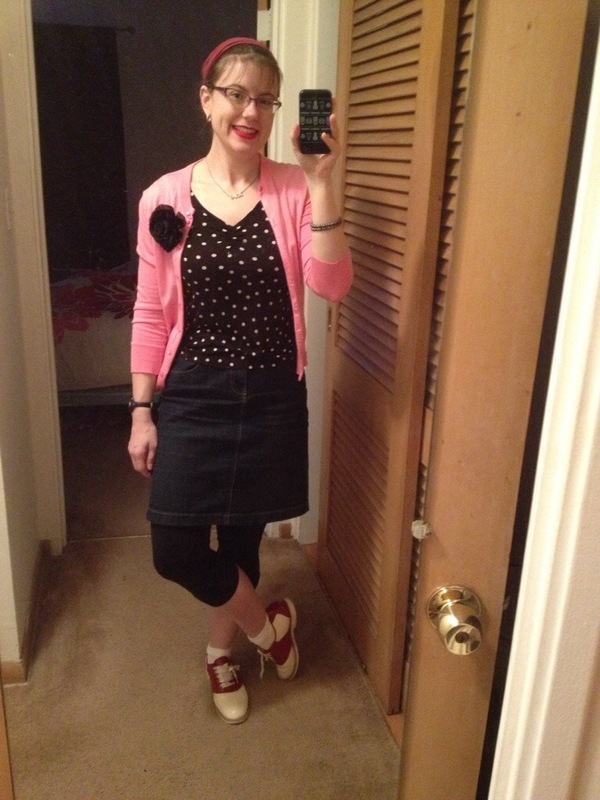 I did get a ton of compliments on the shoes, though. The hair thing is still an ongoing issue – it was getting build up again, so my mom and I tried Dawn + Listerene. I felt ridiculous and laughed a lot, but it WORKED. So now I’m doing a weird alternation of that, a heavier concentration of baking soda/water + vinegar and T-Sal. (T-gel has SLS! What the hell?) And it’s mostly working really well. I think it’s entirely possible that my nickel sensitivity (I’ve only been able to wear gold jewelry since I was about 8) has gotten worse now that I started eating oatmeal every day (oats are heavy in nickel) and this is an allergic reaction. But since I don’t want to give up oats, I will try this oddball combo and hope for the best! 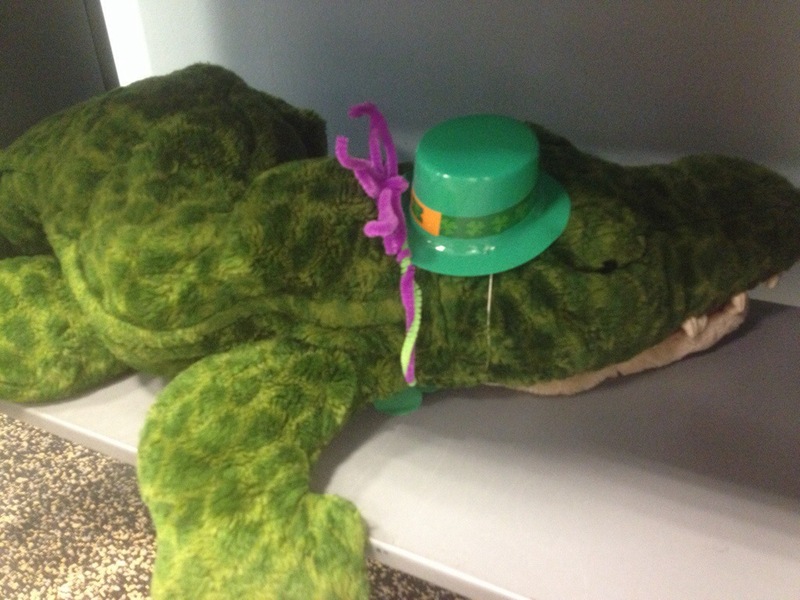 I leave you with a stuffed animal who attended a St. Paddy’s Day sleepover at the library. They got into all sorts of mischief after hours and looked dapper doing it.